With Microsoft's acquisition of Nokia expected to be finalized shortly, Stephen Elop will replace Julie Larson-Green as the person in charge of the company's Devices and Studios business. This means Elop will be in charge of Xbox, Surface, the handset division acquired through Nokia, plus game developer and publisher Microsoft Studios. Larson-Green is taking on a new role as the Chief Experience Officer (CXO) for Microsoft's Applications and Services group. Her main job will be to manage the user experience and design of major products such as Office, Bing and Skype, reporting to group leader Qi Lu. In an internal memo, Larson-Green thanked the members of the Devices and Services team she's leaving. "We launched Xbox One, Surface 2 & Pro 2, blockbuster games like Forza and Ryse, a brand new Xbox Music and Video service, PPI, and some amazing unannounced innovations just to name a few - incredibly impressive!" The division shift for Larson-Green is just one of many over the past few years. When Steven Sinofsky departed the company, Larson-Green was promoted to head of the division in control of Windows; however she was quickly shifted to run Devices and Studios during a major company reorganization, which saw Terry Myerson take her place. 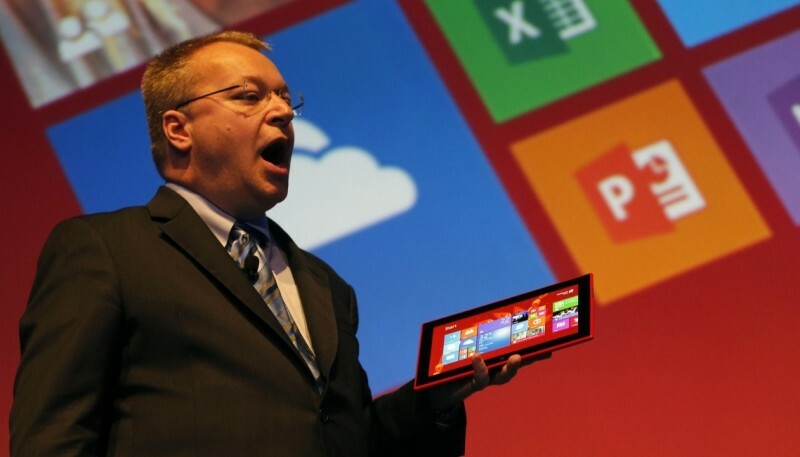 Stephen Elop was reportedly a candidate for the CEO job at Microsoft, although ultimately Satya Nadella was promoted into the role. Previously, Elop has stated that Microsoft's Xbox division is a distraction for the company and that he would sell it off if he had the chance. Having made those statements, it will be interesting to see how he manages the Xbox division at his new position.